After doing a soundtrack to a Blade Runner short film back in September, Flying Lotus has now scored and directed a new short film titled Skinflick. Available to view below, the film finds the producer born Steven Ellison (credited as steve) turning the lens on Bob Heslip, who performs as Bumpy Bob the Bubble Boy. Heslip's stage name refers to Neurofibromatosis type 1, a skin condition that has seen tumours form on his body. Flying Lotus met Heslip through casting him for his full-length film Kuso. In a statement, he said that Heslip "is a lovely man and I wanted to make a film that would honour the beauty of his unique condition." 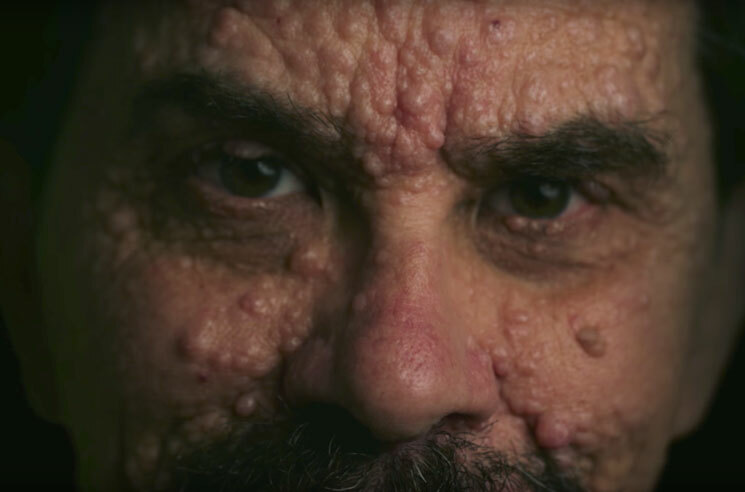 Flying Lotus also recently shared a wild video for new track "Post Requisite." Watch the short film in the player below.